Mong Cai is a border city located in the Northeast of Quang Ninh province, having a total area of 516.55 km square, sharing a 78-km border with China, possessing 2 international border gates of Bac Luan and Ka Long, 17 communes and wards, including 2 island communes and 8 border communes. Perceiving the strategic importance of the area and the requirements of Homeland protection, over the past years, alongside the central task of socio-economic development, the city’s Party Committee and People’s Committee have paid due regard to leading and directing the implementation of the military and defence work, including the building of strong militia and self-defence forces (the forces for short). Up to now, the city has built 52 militia and self-defence units which accounts for 1.6% of its population. 100% of its border communes have established 1 or 2 mobile militia platoons, and all of its coastal and island communes have marine militia sections. The city’s forces have promoted their core role in performing the military and defence tasks, being the reliable political forces to protect local party committees and authorities, contributing to maintaining political security and social order in the area. To achieve those results, first, the city has strengthened the leadership and direction of all-level party committees and authorities, while promoting the core role of the military agency in building the forces. Grounded on function and task, the city’s Military Command has regularly grasped higher echelons’ resolutions, directives, and guidance on the militia and self-defence work, especially the Law on the Militia and Self-Defence Forces (hereafter the Law), the Party Central Committee’s Secretariat’s Directive 16-CT/TW (11th tenure) on “enhancing the Party’s leadership over the militia and self-defence forces and the reserve forces in the new situation”. It has counselled the city’s Party Committee and People’s Committee to develop and promulgate resolutions, programs, action plans and guiding documents as well. Those documents have stipulated responsibility of each level and sector for the implementation of the Law, particularly for the building, management and operation of the forces. The city’s party committees and authorities at all levels have studied and concretized the Law into their directives and resolution, thereby making a positive change in building the forces in each area. The work of propagation and education related to the forces has been stepped up in localities. To obtain the high efficiency, the city has combined propagation and education through political meetings and people’s council meetings at all levels with propagation on the mass media and in training courses and exercises. As a result, awareness and responsibility of cadres, party members and people towards this important task have been raised. Annually, grounded on directives and plans of the Provincial People’s Committee and Military Command on the military and defence tasks, the city’s Military Command have cooperated with committees, sectors and organizations in formulating plans, while directing localities to consolidate the organizational structure of the forces in accordance with the Law and the area’s particularities. Due attention has been paid to reviewing and grasping the human resources of the forces as a basis for building active militia and self-defence forces, mobile militia, and arm militia and self-defence forces. Learning from its experience in building the forces in the 2011-2015 period, in recent times, the city has developed and ratified the Project to organize the forces and the Plan to broaden the forces in the scenarios of combat readiness and national defence for the 2016-2020 period. In this regard, the work of selecting members of active, mobile, coastal militia and self-defence forces in border communes has been carried out closely. The work of review, registration and management of citizens at service ages, and the work of appointing and discharging militia and self-defence cadres and soldiers have been conducted in a democratic, open, just manner in accordance with the Law. 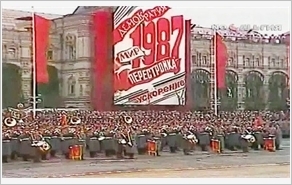 To meet the high demand for the forces’ quality and reliability, particularly the political quality, the city has directed localities to concentrate on building the commune-level military party cell and maintaining its operations as well as developing new party and youth union members within the forces. Taking measures synchronously, to date, the number of party members of the city’s forces has reached 20.9%. The city has actively implemented the Project to build active militia posts together with border defence posts and stations, creating the interconnected posture of “posts and stations” in border area, contributing to maintaining political security and social order and safeguarding border sovereignty and security. To improve the forces’ quality, importance has been attached to consolidating and enhancing the capability of commune-level military command and building the forces’ cadres in association with building the staff of local authorities qualitatively and quantitatively. To this end, the city has strengthened the work of training commune-level military command cadres with priority given to sufficiently assigning cadres to mobile militia platoons and on-spot and arm militia sections. Following the Provincial People’s Committee’s Plan 1689/KH-UBND on training commune-level military command cadres until 2020, the city’s Military Command has counselled the city’s People’s Committee to direct localities to plan and dispatch cadres for further training with a view to standardizing this staff. Human resources for the forces have been focused on soldiers discharged from the Military and cadres experienced in and capable of training, management, command and implementation of local military and self-defence work. The city has also directed the maintenance of the order of training militia and self-defence cadres. Up to now, the city has used its budget to send 47 commune-level military command cadres to study at military colleges and schools. All positions of commune-level military command have been filled according to the Law. Many of the cadres have been appointed to higher positions, greatly contributing to improving the quality of grass-roots political system, particularly the capability of counselling, directing and implementing the military and defence tasks as well as building strong militia and self-defence forces. Moreover, significance has been attached to the forces’ tasks of training and combat readiness. Grasping and implementing the Central Military Commission’s Resolution 765-NQ/QUTW, localities have carried out the work of training in a comprehensive, focalized manner and made it relevant to their tasks, groups of soldiers, area, operational project and budget. Annually, military agencies at all levels have developed training plans for 100% of militia and self-defence units, while counselling localities to make good preparations for training, particularly introducing task, holding training courses for militia and self-defence cadres, and preparing the training grounds. The training content and program have been renovated to closely combine military training with political and legal education and mass mobilization work. Importance has been attached to making troops of the forces master infantry combat skills, weapons and equipment, on-site combat projects and projects to collaborate with other forces, namely Border Guard, Navy, and Coast Guard in patrol, control, settlement of A2 situations, natural disaster prevention and control, search and rescue. As for border, coastal communes and wards and two island communes, a part from the program, the city has directed them to improve staff’s knowledge of mass mobilization, people-to-people diplomacy, Law on National Border, regulations on borderline, landmark as well as skills of search and rescue. During the course of implementation, the city has directed localities to flexibly organize training courses in accordance with particularities of the area. As for arm militia and self-defence units, the city has proactively established groups of instructors in charge of concentrated training. In addition, the forces have been mobilized in all-level defensive zone, natural disaster prevention and mitigation, and search and rescue drills. Since 2011, the city has successfully directed communes and wards to take part in defensive zone, natural disaster prevention and control exercises as well as search and rescue drills in the sea, thereby enhancing the forces’ synergy and troops’ capability to perform the task. In 2017, the city mobilized more than 10,000 militia and self-defence members in combat readiness tasks, patrol and control, maintenance of order and safety of border areas and areas of central importance, which was highly appreciated by the people. Typical examples in this work were Tran Phu, Hai Hoa, Hai Yen, and Tra Co wards. Besides, resources have been actively mobilized to acquire and closely manage weapons and equipment for the forces, and build houses and commune-level militia posts. At the same time, allowance, food and business expenses, and insurance for militia and self-defence members have been sufficiently provided. The city has also directed localities and sectors to prioritize provision of land and capital for militia and self-defence members’ production and improvement of life, thereby helping them keep their mind on work and readily undertake and successfully fulfil all the assigned tasks. By taking active, synchronous measures, Mong Cai city has gained significant results in the work of building the militia and self-defence forces, greatly contributing to strengthening potential and posture of defence and security and building strong defensive zone in the Northeast of the Homeland.